Welcome to my blog. I write (and record) about business, safer beauty, wellness, lifestyle, and the subtle art of not giving a f*ck. I should have written that book, ugh! Start a coaching business, they said. It will be easy and you'll make loads of money, they said. And then comes the booking clients part... oh yeah, that. I remember my initiation as a newbie coach and feeling those beginner jitters, too. Luckily, my desire to help a lot of people and really become a leader in my industry was much stronger than the nerves. It's human to feel nerves, yes, but just because your self-belief may flicker in the beginning it doesn't have to stop you from really going for it. Sure, people might think you're crazy for wanting HUGE success as a coach but every great success story had doubters. So instead of sitting in overwhelm, doubt, fear or letting S.O.S. (shiny object syndrome) get you down I want to introduce you to a better way to get your coaching business off the ground. A way that's strategic but simple. A way that's mindful but money-producing. I started my coaching business from scratch just like anyone else, no big bank account to turn to, no special connections or handouts. 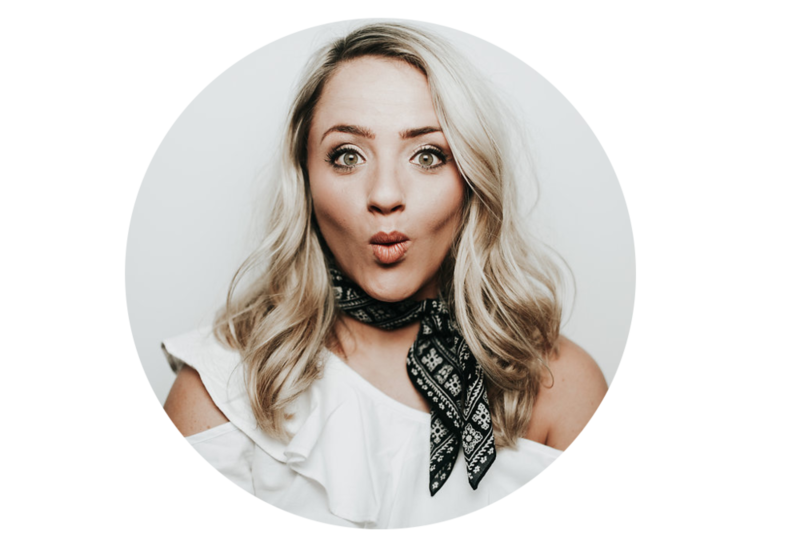 I had to hustle just like you're probably hustling right now... but then when things didn't really go as planned, AKA the clients weren't pouring in, I had to reassess my approach on building my coaching business. I shifted my strategy, spent a lot of money on high-level mentorship and began focusing my efforts on a few key things that allowed me to grow my business to 6-figures in 6 months (after 6 straight months of struggle). 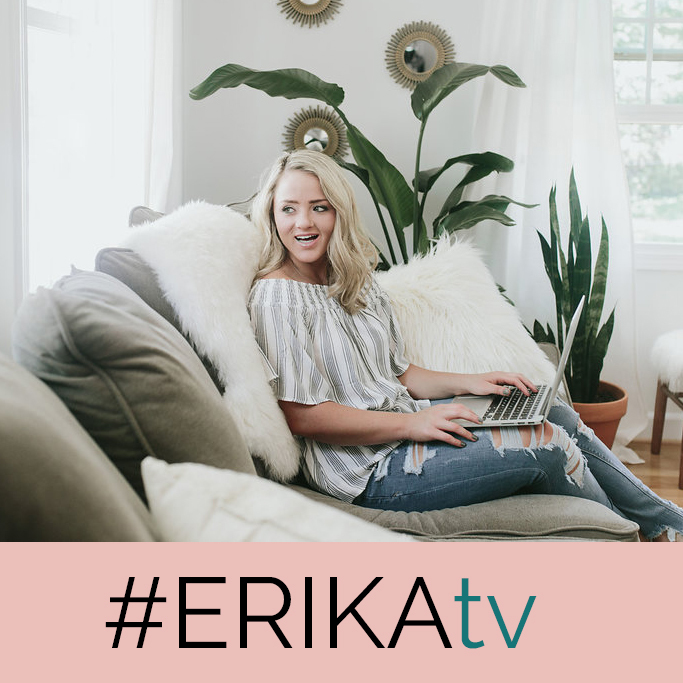 But before I dive into how to get dangerously good at booking high-end clients, I want to address any voice inside your head that might be saying, "But Erika! There are already so many coaches out there... can I really make a name for myself?" or "Can I really be one of those success stories?" I'll say it plainly: HECK YES YOU CAN! Here's the thing -- the business coaching industry is the second fastest growing industry in the online world and the life coaching industry is right behind it. The coaching industry is growing rapidly, but it's not one-sided. Individuals and companies are seeking coaches and mentors more than ever before. The idea of hiring a coach is becoming more mainstream... from parenting coaching to business coaching to love coaching, people are actively seeking support. So instead of looking at it as a congested industry with no room left for you, flip the switch. Choose to look at it as a ginormous opportunity for impact and success. That's where I come in. It's time to create a solid plan to get your coaching business started and thriving. And I even created a handy checklist to help you do this. I had just hopped off another Discovery Call with a not-so-dream-client that threw all kinds of shade as to why she couldn't afford my program and why now wasn't the right time. I hung up the phone and said out loud, "OK Universe, you can start sending me all the ready and willing ones now - wherever they're hiding!!!!" "I need to talk to my husband"
"Now's not the right time"
"How do I know this will really work?" I was energetically deflecting new clients because deep down, I didn't believe that I deserved new clients. BING. Who was I to be a coach and lead the way? What if my clients don't get the results they want? What if my prices are too high? Oh, the monkey mind was at play that day. You see, what you focus on grows. If your energy is lack, that's what will manifest every. single. time. If you don't truly believe in the possibility of all of your desires manifesting, the Universe can't give you what you desire. HOW TO CHANGE YOUR BELIEFS FROM NEGATIVE TO POSITIVE. It's one thing to know how positive thinking works logically, but it's another to PRACTICE that state of mind like your life depends on it. Think of it like learning a new language... at first you have no idea how to put the words together, everything's jumbled and messy. Then after a few lessons you can say basic things like "Hello, my name is _____" and "Where is the bathroom, sir?". The more you practice the easier the words flow and the less you have to think when you speak... this new language becomes like second nature. Next thing you know you're wooing people in a foreign tongue. Oooh la la! It's the SAME with learning the "language of positive thinking". It's awkward at first, and you feel like you sound like an imposter... but that doesn't mean you should stop practicing. The more you read wealth consciousness books, say affirmations and strengthen your faith muscles, the stronger your belief becomes. If you haven't grasped this yet, or even if you know all of this logically but you're not walking the talk, stop whatever you're doing and change directions fast. The inner work is 80% of the success game. Your belief must be that you CAN create impact in the lives of others and that you deserve clients you absolutely adore as the foundation of your business. Notice that I said I focus on these three things DAILY, not just randomly or whenever times get tough. This is a proactive way of running a business and when I'm on my #moneymindsetflow I feel unstoppable and am truly dangerously good at attracting high-end clients. Understanding your ideal client or ideal customer is the the most foundational element of business. Ever. What is his/her top desire? What's the #1 thing that's preventing them from getting what they want? What is he/she willing to buy? What is he/she not willing to buy? Where does YOUR coaching come into play? You should have a clear and deep understanding of the needs and desires of your ideal client. You should know them like you know your best friend so your programs are perfect for them and so that when they see your offer, they truly cannot resist. It may sound like hype but it isn't. Every single big brand spends countless hours and dollars on target market research. It's the most invaluable information you can have backing your marketing and it can literally make or break your success. That being said, there's a lot of work to be done to get to a place where you feel like you understand them inside and out, but it doesn't have to break your bank and you don't need an entire research team to help you with this. In my free checklist, I walk you through how to attract the right client so you literally can't mess this up. After you figure out exactly who your dream client is, you'll want to create some kind of visual to refer to again and again. In my coaching programs, I have my clients do research and then create a visual graphic they can use and refer to every time they go to create a program or host a webinar. Like I said, knowing WHO the right client is for you is the foundation of your business. To create your own Ideal Client Avatar all you need is 1) my checklist, 2) the research you gathered from interviews you conducted and 3) Canva or Adobe Photoshop to create the graphic. What are her likes? dislikes? What type of brand would he/she respond to? Now that you know who your dream client is, you can position all of your content and offers specifically for that person! No more watered down content, boring newsletters or mediocre offers that get crickets. You'll have a compass for everything you do in your business because now you know exactly who it's for. Brilliant! You can sell anything to anyone if there's a real demand for it. One of the coolest things I see in the internet marketing world is people becoming millionaires by selling basically anything, from t-shirts to mini skateboards to handmade jewelry. You CAN sell just about anything, but only if you know exactly WHO would be eager to buy from you, and WHERE to find them.Only then will you have a whole lot of success online. Now think about your dream client, whoever he/she is, and the real desire they have for XYZ. My guess is your dream client is looking for some type of transformation -- maybe it's money, lifestyle or health related, just make sure you're going after the people who have a fierce desire for change. The biggest mistake I made when I started coaching was creating a coaching program that no one wanted, but one I thought everyone needed. I was health coaching at the time and I thought to myself, after talking to a small group of friends and family, that everyone needed to learn how to eat a paleo diet so they could reduce their bloating and skin issues (two things I struggled with for years). So I quickly put a program together talking ALL about the features and what people needed to learn to make a change... but it wasn't really what my people wanted. My community wanted simple ways to make changes to look better and feel better. A lot of what I was marketing didn't resonate and it was way over their heads with too much health jargon. It was at that time that I got the best advice from my mentor. She said, "go where you are wanted, not where you are needed." I immediately started thinking about how I could change my positioning in my industry and literally give my audience what was already in demand. Instead of talking about things I knew people needed, like eating superfoods or finding the right probiotic, I began creating content around what they were already looking for, like content on "how to lose belly fat" or "how to get rid of cystic acne". I shifted my messaging, leveraged the demand I knew was already in my industry and things shifted FAST! This is where all of your hard work starts coming together! You now know about creating a bulletproof #moneymindsetflow, why you need to attract the right client and how to determine if there's a demand for what you do (or if there isn't)... so what's next? It all comes down to your offer! What good is it if you do all the grunt work just to end up back where you started, with zero clients? Creating an irresistible offer isn't as tricky as you might think... in fact, if you pay close attention it can be quite simple. (Note: I did not say easy.) You'll have to take everything you just learned and use it as a compass for where you're going next. But there's a serious detriment to offering the wrong program to the wrong person. For example, say a new mom walks into a car dealership looking to buy a new car. She knows what she wants and why she wants it. She's thinking something safe for her new child, still stylish but not overly expensive, functional with 4-doors and a large trunk to haul the baby stroller. Now imagine a car salesman trying to sell her a brand new 2-door Corvette and not thinking about her true needs as a new mother. Let's take a guess on how long it would take for that car salesman to drive this new mom out of the dealership, feeling icky and like her needs were just plain ignored... I'm guessing she'd be out of there fast and on to the next dealership down the road in mere minutes. That's EXACTLY what we're doing when we do all this work to attract the right client only to offer them the wrong program. It doesn't serve them, they have little interest, and we're left frustrated and client-less. And guess what? The prospect is left pretty frustrated, too. It's like trying to jam a square peg in a round hole... never really works out does it? CREATING AN IRRESISTIBLE PROGRAM YOUR DREAM CLIENTS CAN'T RESIST. How can I meet the want instead of focusing solely on the need? What is the right price for my ideal client avatar? How can I leverage the demand and position my offer as a leading program in my industry? What are some juicy bonuses that will sweeten my program and add value? How will my program help solve the #1 problem my ideal clients have? What are some things my ideal clients already told me they wanted in a program? Whenever I create a new coaching program I'll have a big ol' brainstorm session before I even dream about a sales page or marketing to make sure I really nail it. I'll take one giant piece of paper for each of these questions and then I will just let inspiration take over. I dream up ideas for bonuses, price points and ways to give my people exactly what they said they wanted, while staying in my zone of genius. There are no rules for your brainstorm session... just use inspiration and creativity! Afterwards, I'll go back and edit until something really great comes together. This process not only allows me to create something that is truly irresistible, but also stands out in my industry and focuses on my strengths as a coach. If you want more help on creating irresistible programs, I created a checklist to walk you through each step that I go through when I create my coaching programs. It's the perfect tool to use to help you end the worry about whether or not people will buy so you can start focusing on getting booked up and helping people in the way you do best! You can click here to get access to the download right now. If you loved this blog post, I'd love it if you shared with your friends! Just share with one of the buttons below. 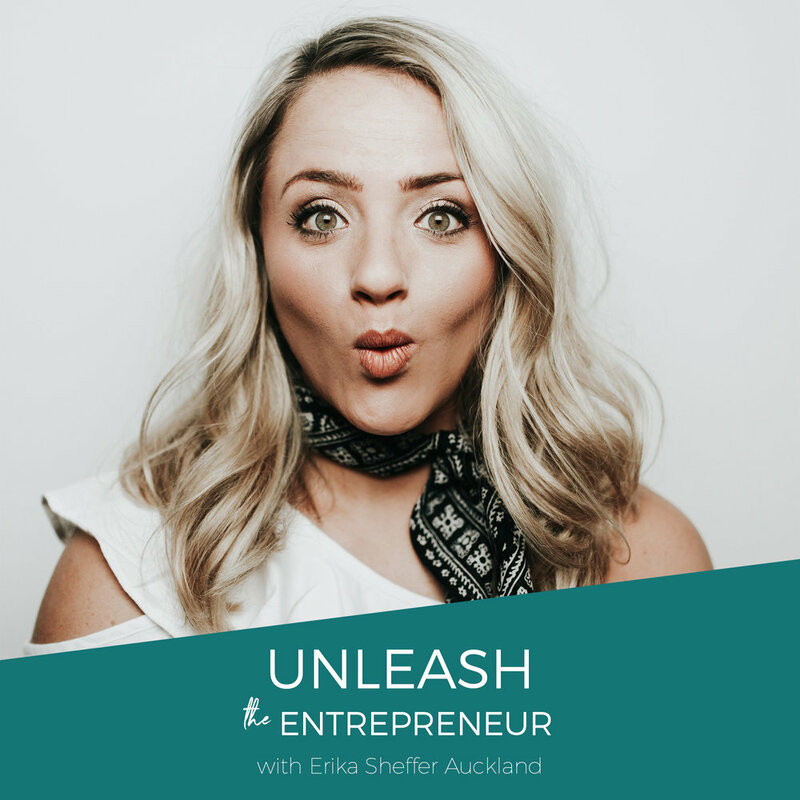 Erika Sheffer is an Entrepreneur, Marketing Strategist, Digital Influencer, Podcast Host, YouTuber, Wellness Activist, and Content Creator. Aug 18 GC Ep. 1 :: Started from the bottom... now we podcast!